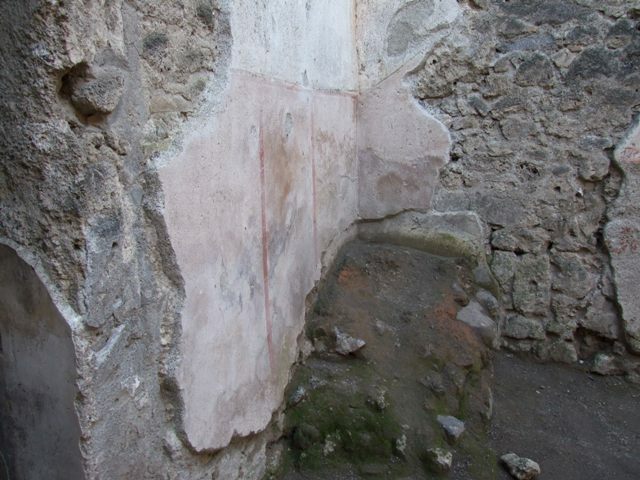 I.6.10 Pompeii. Workshop. Excavated 1912, 1926 to 1927. 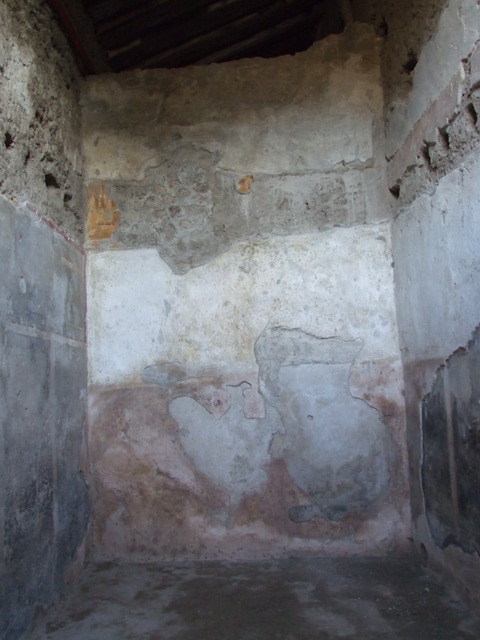 I.6.10 Pompeii. December 2007. Entrance. 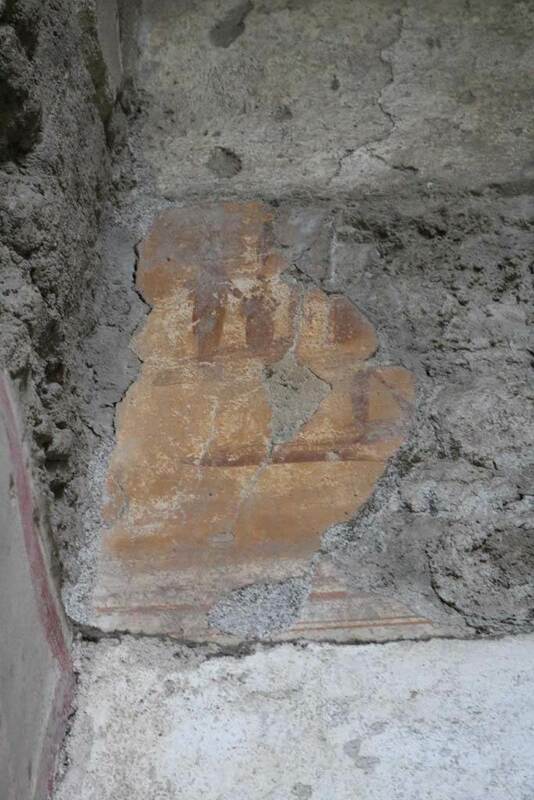 I.6.10 Pompeii. May 2005. Entrance, looking south to rear room. 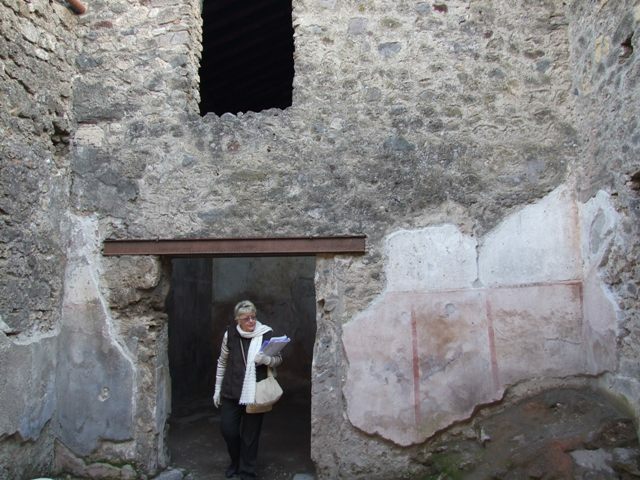 I.6.10 Pompeii. December 2007. East wall. 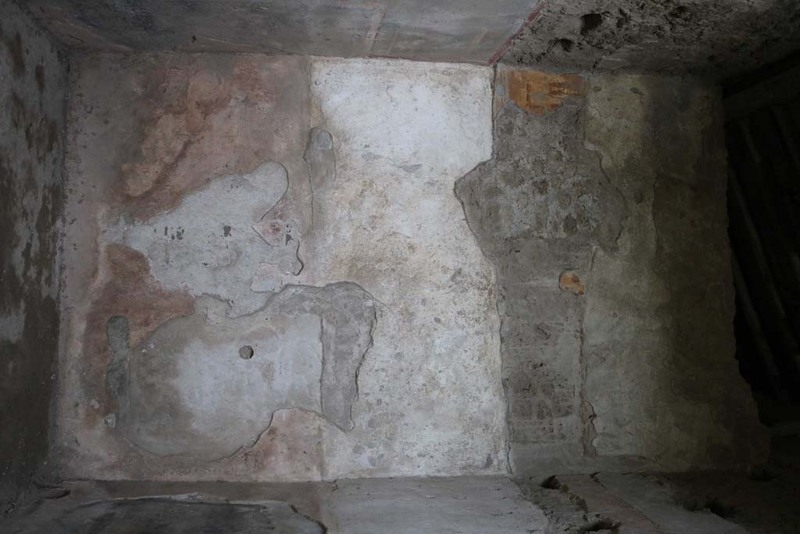 I.6.10 Pompeii. December 2007. 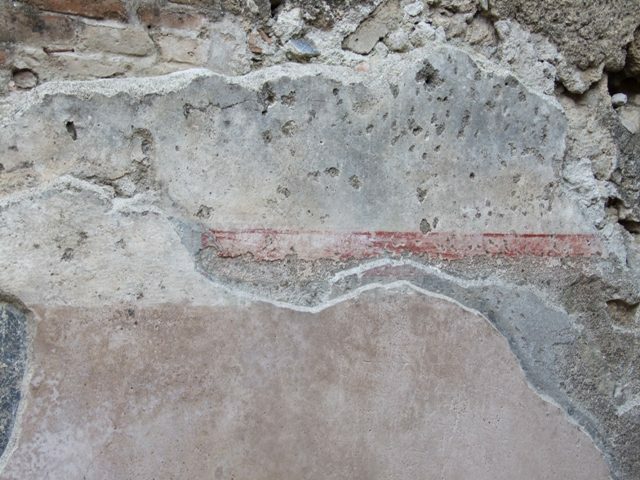 Detail of layers of painted plaster on east wall. 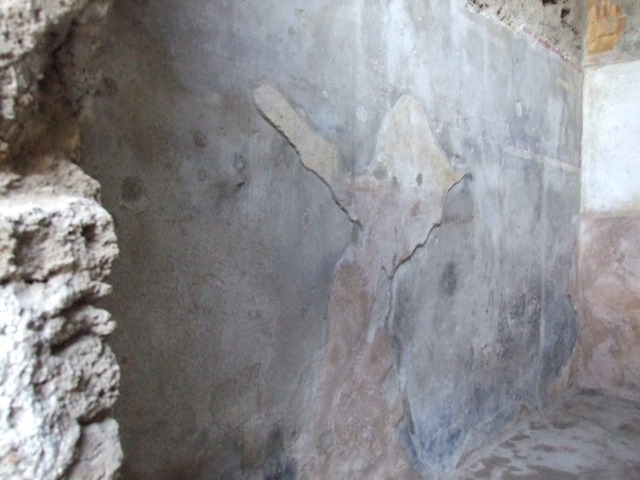 I.6.10 Pompeii. December 2007. 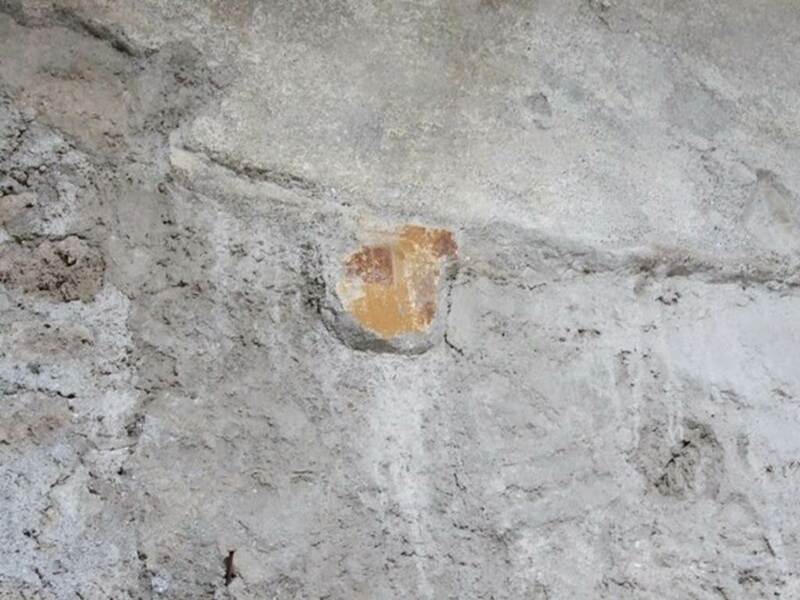 Detail of painted plaster on east wall. I.6.10 Pompeii. December 2007. South wall and door to rear room. 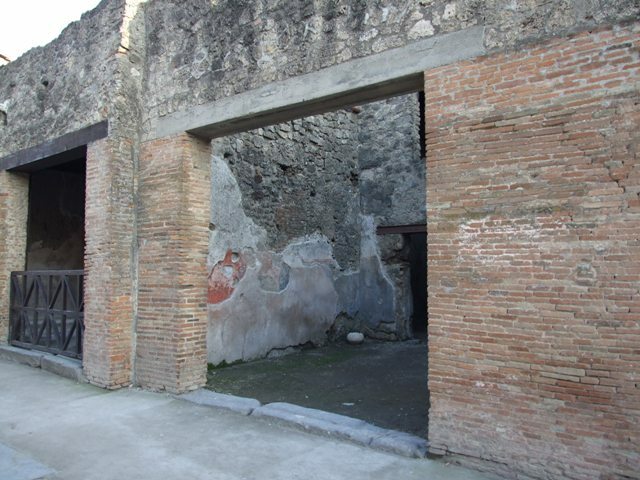 I.6.10 Pompeii. December 2007. South wall with upper storey above door to rear room. 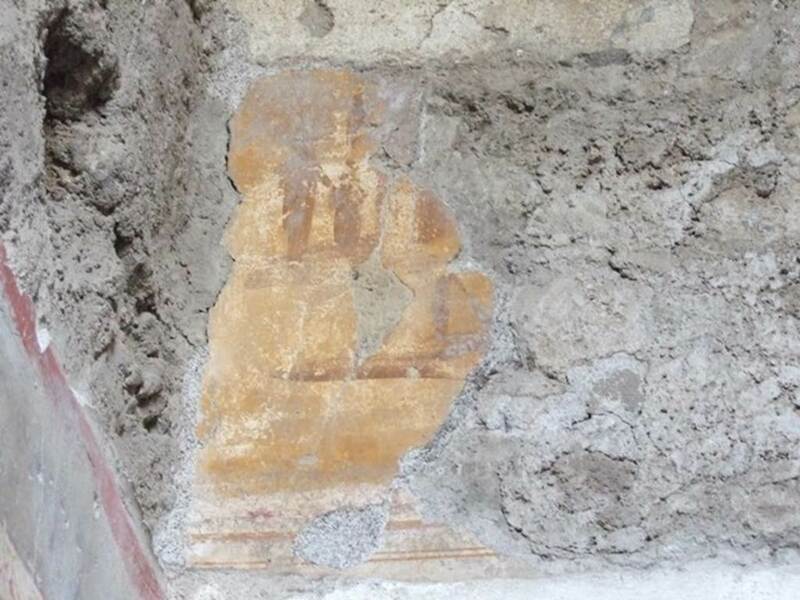 I.6.10 Pompeii. December 2007. South-west corner of front room. From the masonry base of the stairs, the wooden stairs would have led up to the upper floor against the west wall. 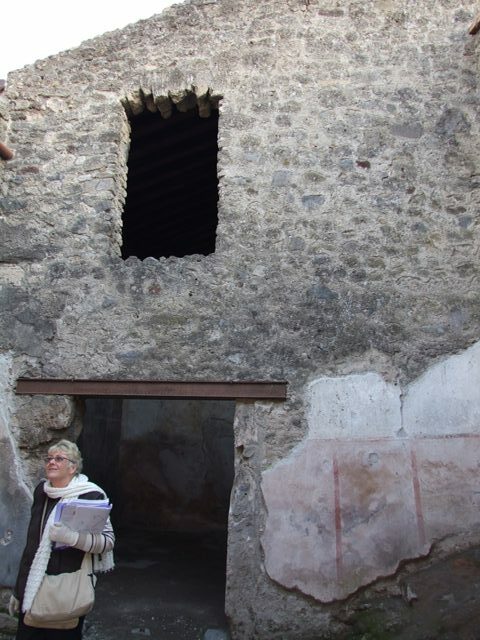 I.6.10 Pompeii. December 2007. Remains of masonry base of staircase in south-west corner of front room. 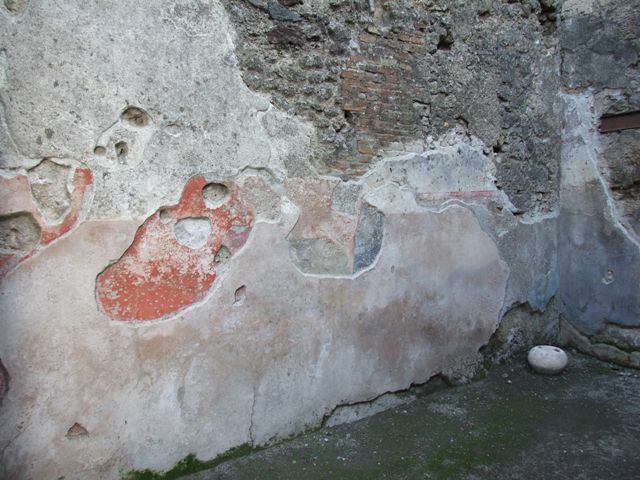 I.6.10 Pompeii. December 2007. West wall of front room. 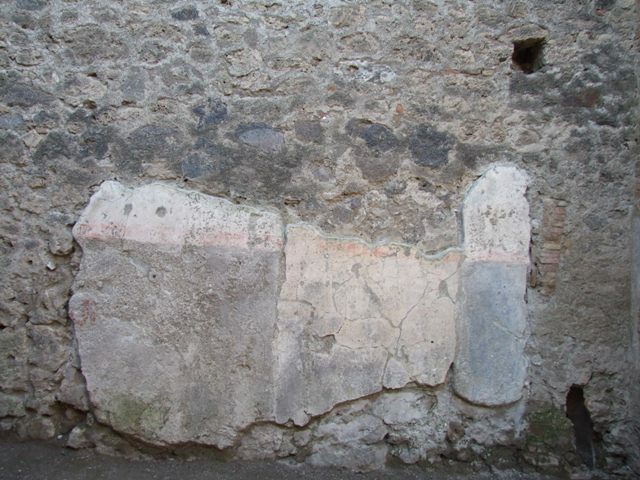 I.6.10 Pompeii. December 2007. East wall of rear room. 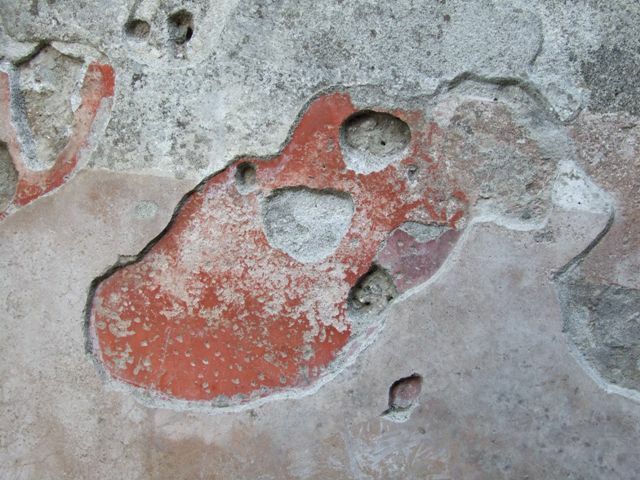 I.6.10 Pompeii. May 2005. South-east corner of rear room. 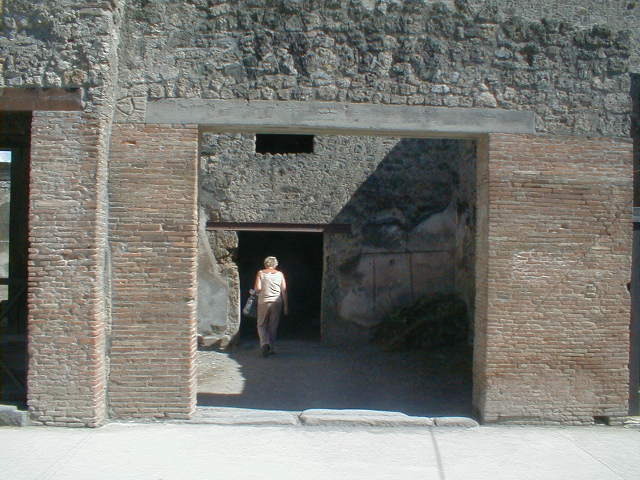 I.6.10 Pompeii. December 2007. South wall of rear room. 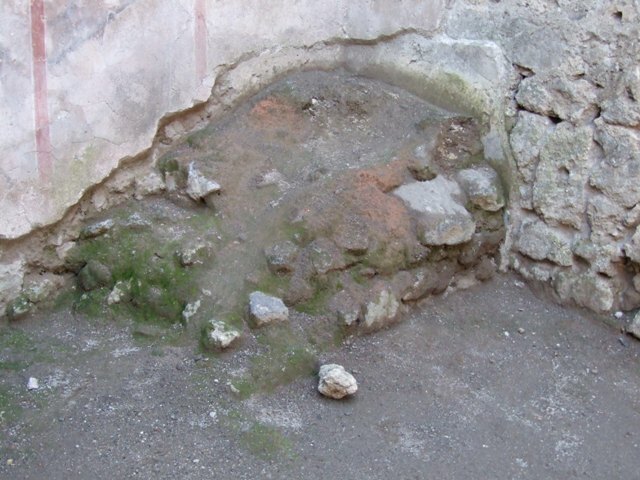 I.6.10 Pompeii. December 2007. 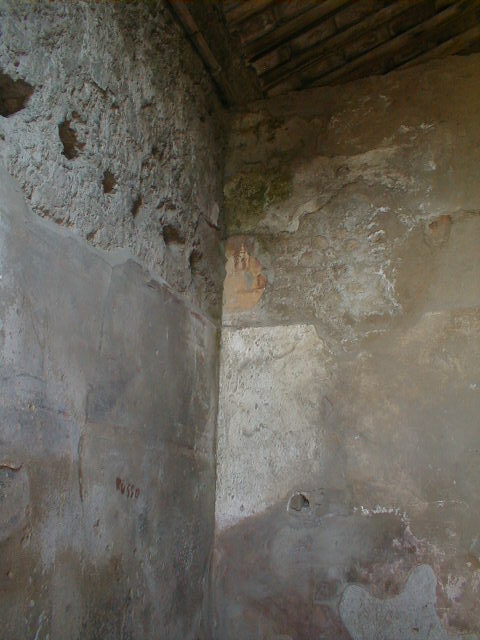 South wall of rear room with remains of painted plaster. I.6.10 Pompeii. May 2005. South-west corner of rear room. I.6.10 Pompeii. December 2007. West wall of rear room. I.6.10 Pompeii. December 2007. Decorated floor of rear room. According to PPP this consists of beaten cocciopesto decorated with black and white tesserae arranged in a dotted pattern. See Bragantini, de Vos, Badoni, 1981. 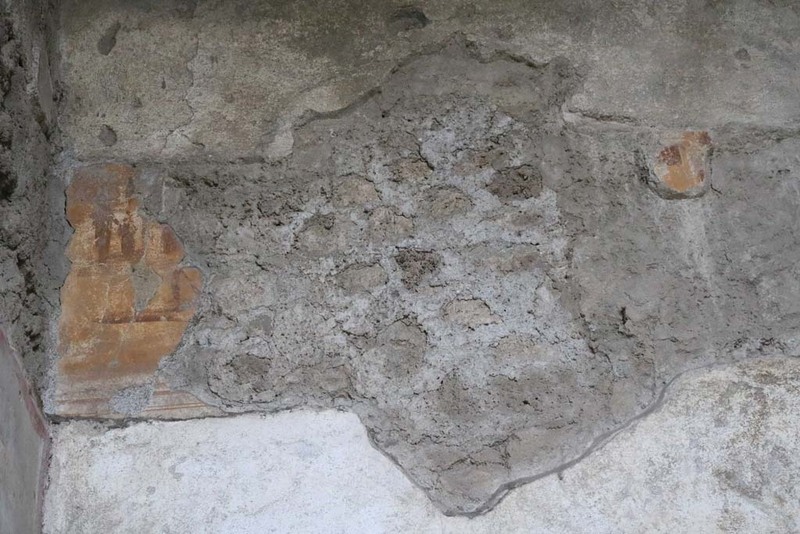 Pitture e Pavimenti di Pompei, Parte 1. Rome: ICCD, p. 35.